We use our soymilk maker to make delicious rice and nut milks! The new Miracle soymilk maker produces 1 quart of delicious, nutritious, soymilk in about 15 minutes. 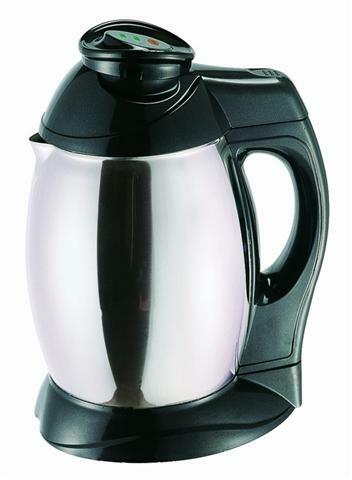 This model features a totally enclosed heating element, and stainless steel jug, basket, and cutter. The MJ840 can be used for making nut milks and rice paste. It is supplied with a special cup to convert the unit into a grinding mill. The MJ840 comes with 2 filter baskets, grinding cup, utility cup, measuring cup, and operating instructions.